For those of you who are without interviews you need to take a step back and really evaluate yourself as a candidate. Poor scores (below 210 on Step 1 or 2 or any exam fail including Clinical Skill exam). If this is not your year, think about what you might be able to do to fix the problem. You can’t change your scores if they are low. A good score on Step 3 will not rescue a poor score on Step 1 or Step 2 or a CS fail. Now I know of a candidate this year with low scores who got a pre-match and several candidates with amazing scores who got pre-matches. Hopefully many more of you will match this year. Anyway, if your scores are over 210 and you have no interviews but you have no US clinical experience, well you need to get some US clinical experience and reapply. If there are things you can fix (other than scores/ attempts) then fix them. Observerships at places that take IMGs may be helpful. If you do an observership at a place that takes primarily IMGs then the program gets to see you for days at a time and get a sense of you as a person. The observership wont allow you to see patients and show your clinical skills but people can get to know you. You may very well get an interview at that program if they liked you. Observerships at university hospitals give you an opportunity to see a big hospital in action. The process is difficult and will only get more difficult over time. In the past, about 75% of applicants got in to a residency over 5 years of applying. If after fixing what is fixable and you have applied without interviews then it is time to start thinking of doing something else or going home to practice. For those of you new to the matching game and those of you who are looking ahead to next year I wanted to share a free list of IMG friendly Internal Medicine Programs posted by sama-sd.org. I don’t have a personal or professional relationship with sama but have not seen such detail on IM programs posted before so I thought it best to bring the list to your attention. While not complete in every detail, the list includes programs that have historically matched IMGs. Note that the contact person and phone numbers may not be up to date. The urls that I tried worked. Some of the programs only take a few IMGs some programs take mostly IMGs. The university programs will take fewer IMGs than the community hospitals. Some university programs take very few IMGs, some take more. The list was put together by sama-sd.org. I have not verified the content or information on the list. It is up to you to decide where to apply and what Program criteria fit you. Look at the “Internal medicine programs according to percentage of IMGs” list as well to see which programs have high percentages of IMGs. The list is meant to be a starting point in your quest for an interview in internal medicine. I hope that the information is helpful. The following links are excel and word files where you can find the information. Alternatively you can visit the sama site here. According to the American Medical Association, IMGs make up one fourth of the physician workforce in the United States and more than one quarter of resident physicians. In addition, IMGs are more likely than graduates of US medical schools to serve in medically underserved areas and in primary and critical care. I see on forums people lamenting that the reason that they are not getting interviews for residency is that there are now more AMGs because more medical schools have opened in the recent past. The following figure shows what will likely happen. By 2019, the number of AMGs will equal or be somewhat higher than the residency slots that are available in the US. It is interesting that the amount of the proposed increase of AMGs is similar to the numbers of IMG PGY1 residents. The following projections are from the AAMC. Medical school enrollment has already increased by 13.2 percent as of the 2010-11 academic year. The AAMC estimates that almost 800 first-year students will attend these new schools in the academic year 2012-13, based on future enrollment figures. Enrollment is projected to increase by 27.6 percent by 2015. 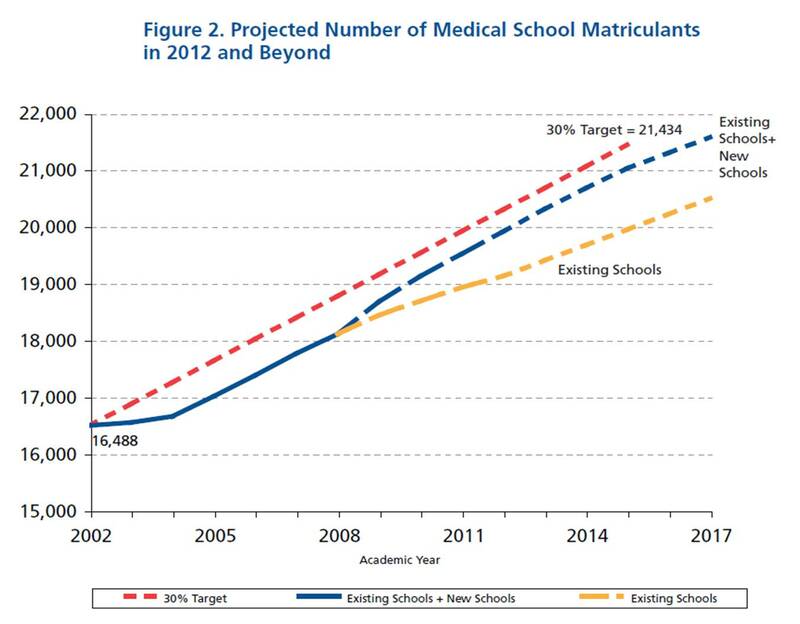 Existing medical schools have increased the numbers of students and new US schools are opening. The trends seen already are not in IMGs favor. Between the 2005 and 2009 matches, the percentage of IMGs who submitted rank lists and matched dropped from 54.7% to 47.8% for US-IMGs and from 55.6% to 41.6% for non-US IMGs. Once these new US students graduate it will get progressively more difficult to attain a residency slot as an IMG. I see it as unlikely that the US government will expand funding of US residency programs to increase the size of residency programs. All this adds up to the slow elimination of the IMGs as residents by 2019. 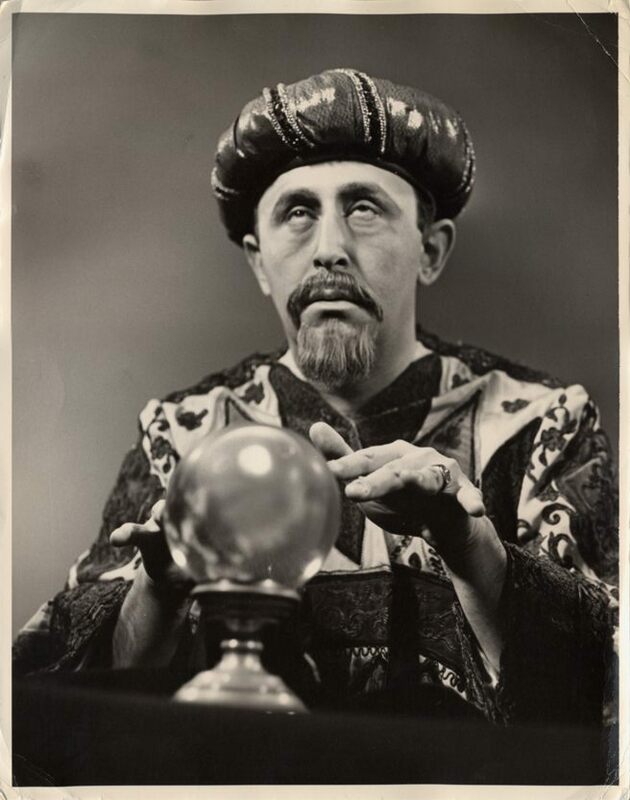 Let me get out my crystal ball. The “what are my chances” question is not one that can be answered as I do not have enough data. One can predict the probability of matching based on Step 1 scores or a combination algorithm. Remember one can not underestimate the importance of data. According to the NRMP 2009 data the probability of matching in Internal Medicine (IM) is 35% if you have 3 interviews, 50% if you have 5 interviews, 75% if you have 10 interviews. That makes sense you have to interview to match. Many people are lucky to get 1 interview which corresponds to a 25% chance of matching in IM. Regarding Step 1 scores, for those who do interview in IM, the probability of matching in IM with Step 1 200 is 27%, Step 1 of 220 is 45%, 240 is 63%. Information on step 2 scores is not present as many AMGs don’t take step 2 prior to applying. What can I do to improve my chances? Just over half (1092/2113) of those who match do not have any Abstracts, Presentations, or Publications which suggests that if you are strong enough as a candidate, publications/research don’t matter. I get asked about the chances for couples in the match. The NRMP gushes about couples chances for the match but I’m not convinced that this is the golden ticket for IMGs. The problem is that this data might not speak to IMG couples. “About 79 percent of couples are U.S. seniors.” I can’t take this to mean that 21% of couples who match are IMGs. The data does not include US grads (3% of matched not in med school at the time of match) or DOs (6% of matched). Extrapolating the data, 290 of the 4600 IMGs (US AND non-US) who match are in the couple match. I strongly suspect that most of these are US IMGs. So the couple match is not the golden ticket to residency. So the two digit score is going away, sort of. This doesn’t have any effect on the applicant as most programs use the 3 digit scores in their filters anyway. What it does mean for the IMG community is a frame shift in the thinking of what the scores mean. What this means is that “99/99” will become a thing of the past. No more “he is a 99/99 so he must be good.” A 99 two digit score represented about the top 20% of scores, not the 99th percentile. True 99th percentile is a three digit score of 260 according to a nice analysis by My Dominant Hemisphere. This was a big point of confusion for a lot of people for a long time. The only people I ever heard mention the two digit score were IMGs. And the mention bordered on obsession. The two-digit scores were designed for the state medical boards and will still be reported to the states and to the test taker but not the residency programs. On the two-digit scale, the minimum passing score is always a 75 but with the 3 digit score it depends on the distribution. Minimum Passing three digit Scores for last year were Step 1 188, Step 2 CK 189, Step 3 187. My advice is to think of your scores in the three digit form and compare them to the NRMP data to see in which specialties that you might fit.